A cross between a traditional British shandy, made with beer and lemonade, and the Caribbean version, consisting of beer and ginger ale, this mug of cold suds with a true bite will delight any fan of cold beer. Keep frosted mugs handy and your ginger beer and lemonade well chilled to optimize the refreshing quality of this beverage, which is suitable for sipping (or gulping!) with bar food or snacks. 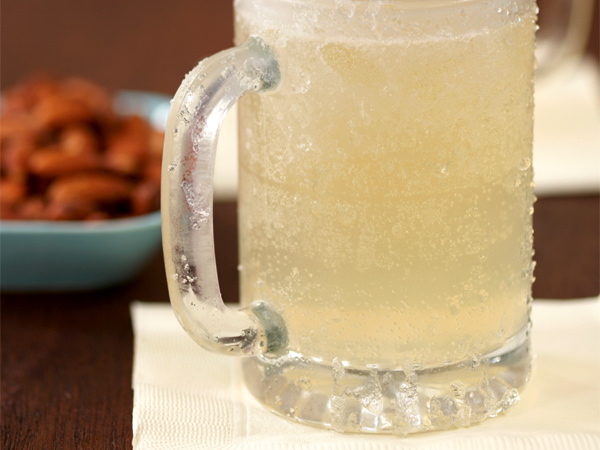 Pour the lemonade into a frosted pint-size beer mug. Top with the ginger beer and serve immediately. If small amounts of alcohol aren’t an issue, you can substitute dealcoholized beer (which contains 0.5 percent alcohol by volume) for the ginger beer, and replace half of the lemonade with ginger ale.